Srinagar:Traffic Police authorities on Sunday morning allowed stranded vehicles in Ramban-Banihal area to move to Srinagar and with this the traffic was resumed on Jammu-Srinagar highway after remaining closed for three consecutive days. 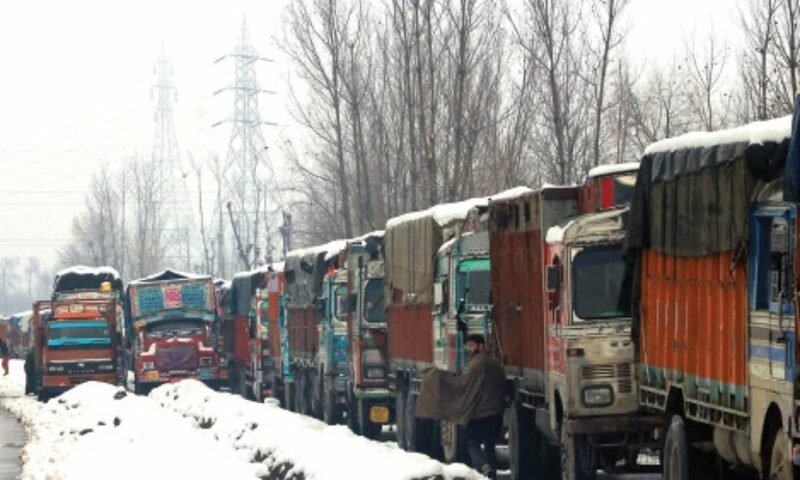 Traffic police officials allowed stranded vehicles to move to Srinagar from the Ramban-Banihal Sunday morning and a report said that trucks were allowed to cross the Jawahar Tunnel on Saturday evening also. “One-way traffic will be allowed on the highway today from Jammu to Srinagar. No vehicle will be allowed to move in the opposite direction,” the officials said.